So , Finally the most awaited rom is here . 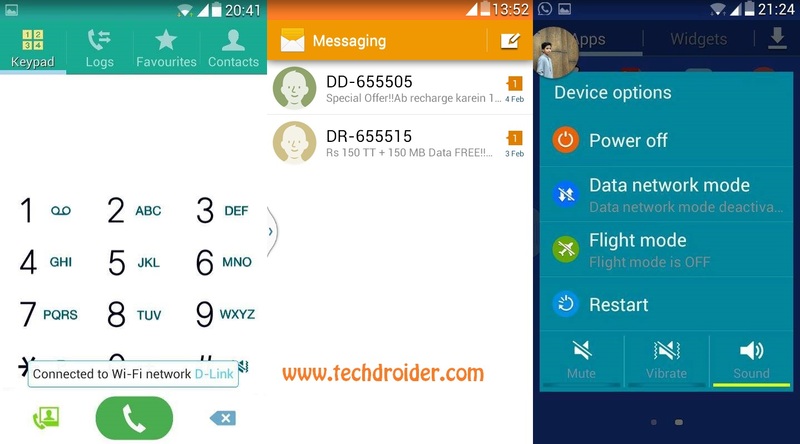 Yes its Samsung Touchwiz ( Android Lollipop 5.0 ) Themed rom , that has been themed to great extent . Thanks to kahmad989 for making this awesome rom live . Hurry! Post the rom hurry!!! u r absouletley right .. upload it or delete it ! Fixed ! See the updated instructions ! stuck on samsung boot. does not go further. Is giving infinite loop, does not leave the logo of Samsung. Please fix it. Fixed , See the updated instructions ! Please have the bugs been fixed? This really is one of the best roms...please fix the boot loop bug for us. 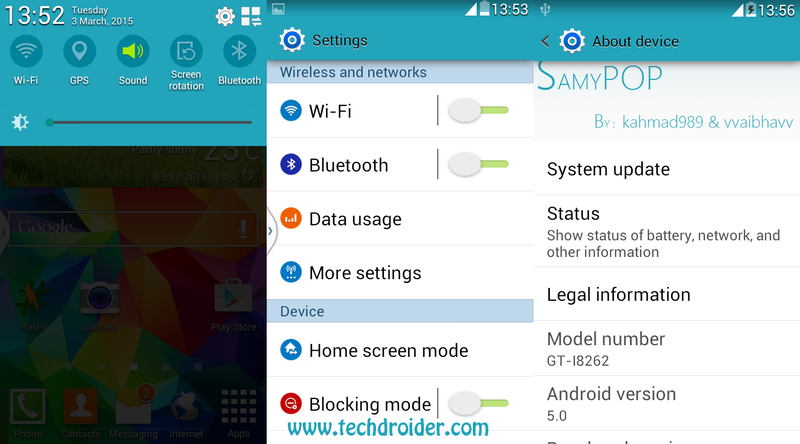 Run on Galaxy Core I8260? Yup , but no sim ! Hello guys, please has the bugs been fixed? It had a boot loop bug and couldn't go past the Samsung logo, can we please have the bugs fixed please...it's one of the best roms and we can't wait to use it. Wipe data Wipe cache Wipe dalvik cache ? I did not like this rom, I think it is still incomplete. It works but in my opinion still lack some features to get well. I will reinstall the old rom that was using the SaMyKat 3 that was better. Waiting for new updates this rom that has the potential to get better! Text message entering area does not display what you are typing.